The Illustration Work of Louise Byng as seen from Earth. : Travelling Without Moving. 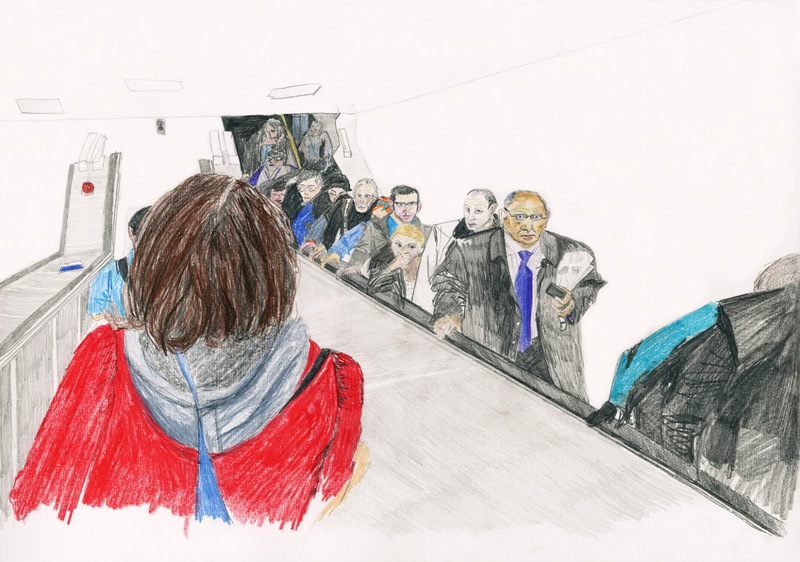 A recent drawing from my 'waiting' project. It is part of a series of images focused on people travelling in London, waiting to arrive somewhere else. The guy behind the man in the blue tie looks like Andrew Marr. The Train Now Arriving Into Platform 4.